Craftsmanship and know-how are at the heart of our approach. In 2012, even before Florenz existed, its creator Florence Bourgade left for India to meet the Chippa community in Rajasthan, the last block printer craftsmen specialized in block printing. It is at their side, over the months that she developed her very first collection of stoles. It was a dream and it was to pursue it that she resigned from her job as artistic director in Madrid a few months earlier. She will leave for Jaipur and return with the first silk stoles printed on the block. What at first seemed like a creative adventure without a head or tail, gave birth a few months later to the eponymous brand Florenz. Over the course of travels, seasons and encounters, the collection has been enriched with new and increasingly sophisticated skills. It is through contact with craftsmen in India, a country for which the designer has a real passion, that the collections have been enriched with rare ancestral techniques such as the weaving of jamdani cottons in the Bengal jungle or the weaving of real pashmina in Kashmir. Since then, hand-woven cashmere skills and pashminas have become Florenz’s timeless treasures. Over the years, our collaborations have allowed us to build lasting relationships with artisans and workshops. These bonds of mutual trust are precious to us. They allow us to evolve with confidence and give us the opportunity for more creativity. It is because we work in partnership with artisans and workshops that we are able to innovate, to reflect together on their practice, to integrate and divert haute couture techniques in order to create unique stoles. The craftsmen with whom we collaborate are chosen according to their know-how. The same applies to the small workshops we work with. Concerning independent craftsmen as well as workshops, we are always attentive to the human being who is at the heart of everything, to the working conditions and the origin of the raw materials. Some of the craftsmen with whom we have established long-term partnership are working on orders for some of the biggest names in Haute Couture and luxury ready-to-wear. Others are struggling to keep and endangered know-how alive die to a lack of customers and production. It is in this context that Florenz builds bridges between them and gives prides of place to the know-how of these craftsmen in our collections. We visit and spend time in our workshops and most importantly, we build a caring, equitable and lasting relationship. This natures creativity and desire to continue to collaborate together around a common project and mission. We work without intermediaries and this is what allows us to offer exceptional quality, luxury collections at fair prices and models created in limited series. Sustainability and more than “made in”, we believe in “made how” and “made off”. We believed in the valorization of Kashmiri, India, Bengali, French, Spanish know-how… in all the countries where our parts are manufactured. Our responsibility is to do well everywhere. Wishing to give pride of place to thoughtful consumption and sustainable fashion, we attach the greatest importance to our manufacturing conditions and our partners. All our pieces are woven in the respect of a local production in Srinagar, Kashmir by a few families of weavers. Our silk stoles are printed in India by a Grand Luxe manufacturer, allowing us not only to limit our ecological footprint by avoiding multiple transports between Europe and India, but above all to guarantee quality standards and us to build personalized and lasting relationship with each of our interlocutors and partners. We are proud to offer real cashmere pashminas from Ladakh and hand-woven in Kashmir in Srinagar by master weavers. Their quality is exceptional and that is why we have decided to give pride of place to theses rare stoles. Their cashmere is so fine that it can only be woven on a hand loom. The vibrations of electrical machines would break the thread? This is how this exceptional and ancestral know-how is perpetuated from master student. The spinning is passer on frim mother to daughter. It is in this context that we naturally wanted to celebrate French embroidery and know-how, to create a meeting between local and local crafts: on the one hand, the spinning and weaving of a rare cashmere quality by exceptional weavers in Kashmir, and on the other and, the lace makers of Calais and embroideries made in France by independent artisans. This last technique required many months of research and development to obtain the haute couture finish. Indeed, cashmere being a difficult material to work with, lace inlay and the embroidery technique of the latter required long tests. Stories knead our imaginations and our societies, they bind people together, constitute collective imaginary universes and participate in the construction of inclusive reference bases that promote a sense of belonging. They also have the strength conferred on them by their transmissible nature, placing them as impalpable bonds, adaptable according to the morals they must serve, nourishing the intergenerational sphere. Everything is history, everything is storytelling, everything can lend itself to the reverie specific to childhood and considering life from this angle allows us to remain open to the magic of life and to nourish our creativity. Passionate about beautiful things, art crafts and unique skills, in search of inspirations, openings and encounters, as we have few of them, but which turn out to be hinges as they shake us up and modify our perceptions to the point of pushing us to change our lives and that only travel brings, Florence travelled through India for many months. She will discover the finest cashmere in the Himalayas, the one that gives life to the pashminas of Kashmir. Its creative process is for the most part original and is adapted to the abilities of craftsmen: to meet, to be turned upside down, to turn around by a fabric, a motif, a shape and to use it as a source of creative reflection. We cut, turn, draw, bend around this piece until we reach a finished creation that is satisfactory and unique; here it is not the spirit that is the seat of creation but the hands. Hands create, make and stimulate the brain to help them sublimate the clay they originally made. While pregnant and in India, meeting exceptional craftsmen, Florence, who considered that her clothes were not elegant enough for professional meetings but caught up in the desire to feel free to move freely when she saw her situation, had an idea. Stunned by the heat, by caressing the fabrics of a weavers’ workshop with her fingertips, she decided to create a tailor-made garment that would offer her a being chic. She then designed a room that would allow her to feel elegancy and comfortable. To do this, she was inspired by the fabrics, with which she was then surrounded, but also by the forms of Asian culture that struck her head on while simply following her desires. The Kimonos, which you can find on the site are born this way, from a human and maternal need. All we can wish you and advise you is to remain open and attentive to the world around you, to your desires; the slightest detail can be the beginning of a great story. Putting artisans and craftsmanship at the heart of our collection and brand was always our aim as well as manufacturing and delivering an exceptional luxury quality pashmina for our unique customers. Because Florenz heritage is at the same time French and Spanish, French-made Chantilly lace features in our cashmere collections adorning our cashmere pashminas. Creating a pashmina lace inlay stole takes outstanding savoir-faire, skill and patience. Only a handful of artisans who learnt for years their craft in haute couture workshops have the dexterity required to make invisible finishings. 4 ways of wearing your pashmina scarf this autumn. Meanwhile the summer is leaving, it comes the time to prepare our closets for a new season and a cashmere pashmina scarf is an essential part of it. But how do you wear it this fall? Searching the inspiration we checked runway shows of Paris, Milan and New York. This way of wearing a pashmina scarf became popular after Burberry show few seasons ago. And because of its versatility, ability to slender the silhouette and a touch of chic it adds to any outfit its still being one of the most popular. This option is the best for the change of season’s time. Just wrap the scarf around your neck and leave to fall down to the back creating that chocker necklace effect from the front. That’s the perfect way to balance a very deep cleavage. Wrap your cashmere pashmina around your neck the way it will cover your shoulders as well. The soft and thin fabric of real pashmina is just perfect to create that elegant draping effect, beside that is the best way of wearing it in cold days. Just putting your cashmere shawl on your neck can be the easiest and the most stylish way at the same time. The key is the right color combination. And this is something we noticed everywhere this season as the monochromatic looks where everywhere in the runways. So you just complement yours with plain or printed cashmere pashmina of the same tone as the rest of your outfit. The most sophisticated option is to mix few different shades of the same color. Fotos: Courtesy of Longchamp, Umberto Fratini, Monica Feudi, Kirk McKoy, Luca Tombolini. Is real cashmere Pashmina or is it a fake? It happens that we ask ourselves the question. In fact, the pashmina corresponds to the best part of the cashmere. If the diameter of a fiber of cashmere is about 19 microns, the pashmina is even finer and its fiber approaches 15 microns diameters. He is collected during the period of transformations of goats Capra Hircus, because the latter possesses one of the finest and softer hair over the world. This hair is developed in extreme conditions at more than 4500 meters in height and with temperatures which can go to -50 ° in winter, where goats live, in the chains of Himalaya. Every year, goat Capra Hircus, produce on average 150 grams of pashmina, in Spring. The hair collected is then combed and is going to follow 7 steps of making process. Pashmina takes its origins in the Antiquity, where already, the valleys of the cashmere knew how to develop a strong reputation regarding the weaving of shawls. But it was really during the 16th century when this artisanal industry has acquired the status of royal patronage, under the emperor moghol Akbar, and knew an intense development. It was during the 18eme century that, finally, Europe also discovered the noble art of the pashmina, by discovering this luxury product. How to Identify Pure Cashmere Pashmina and Fake shawls? Unfortunately, over the centuries no label “pashmina” was created. Therefore, the pashmina is not considered a material on a legal point of view. Thus labels deducing to be made with 100% of pashmina are not always honest. Because it has become over the centuries, a high-quality symbol, some storekeepers do not hesitate to use it in a commercial purpose, which sometimes hides from unpleasant surprises. As no law forbids to use the term pashmina, the latter is often used, so you could find some viscose or some acrylic in this shawl that you though was only made with fiber of pashm. Nevertheless, forewarned is forearmed, and there are certain methods to spot the difference between real and fake. Pashminas lined with fringes braided which can be find almost everywhere, are almost, never real pashminas, as the fiber of pashm is too fine to be braided, the authentic pashminas are endowed with small open fringes stemming from the loom. Handwoven pure pashmina has a distinctive. Real pashmina shawls comes with sharp edges and irregular weave due to the hand loom when seen through the back-lit stole. Real pashmina never comes with fringes as they are possible only possible in blended fabrics. Because of the delicate nature of the pashm fiber, real pashmina stoles are one of a kind and always come with these kind of small irregularities. A perfectly regular woven cashmere stole is done using power loom and is not considered as a real pashmina because the finest cashmere fiber can only be hand woven and hand spun. The world of fakes spread out from East to East and North to South of the planet, covering the intangible desire for exclusivity and privilege. Pashmina and cashmere as one of the most elegant materials in the world, are not exception to the rule. Even in their motherland, India and Nepal, one can find clothes described as “100% cashmere” or “70% cashmere, 30% silk”, which curiously cost up to 15 euros. In fact, the lowest price of the raw material, the gross cashmere, is about more than 100USD for kilo. Wherever you are in the world, the finest raw materials and the best craftsmanship with fair wages using ethical working practices come at a price. Considering the previous conditions, real pashmina is not cheap and cannot be sold for $10 a piece. Real pashmina made from the finest cashmere harvested in Ladakh are a real luxury. They are not only exclusive because of the high cost of the raw cashmere fiber but also because of the handmade and local and family production. Because there is no middle man in the process, Florenz is able to produce a luxury stole pashmina scarves collection at a fair price. Summer and winter, I always travel with two scarves. No matter the season, I always have with me both a silk shawl and a cashmere pashmina. During summertime I like to wear a silk shawl in vibrating colors with strong prints to play and enlighten my daily outfit. I also take a timeless and elegant pashmina decorated with french lace for the more dressed evenings. HOW DO YOU PREPARE YOUR VACATION? I am an impulsive person and I used to improvise at last moment… Even if since I am a mom of a 2-year-old girl named Audrey, I make some efforts to plan a minimum, I have not found my rhythm of cruise between last-minute improvisation and organization yet. Where are we going? What are we doing? So long as the destination allows me to get fresh ideas and to feed inside, everything suits me. I pack my suitcases at last moment but I take care of reserving an apartment on Airbnb or, at least, of bringing the LonelyPlanet. YOUR ESSENTIALS ACCESSORIES ON HOLIDAYS? On a business trip or vacation, if I travel alone, I use to travel light: my passport, a good book, some easy to wear clothes (a linen skirt and dress, a silk scarf, a lipstick, low-heeled shoes, a cashmere pashmina…) and, lastly my laptop. If I am working on a photography project I bring with me my camera which is an authentic Hasselblad as I keep shooting with film rather than digital. I live in Madrid the whole year and I often travel to India, so in August I literally avoid the hot weather in Madrid. Wherever I go I look for fresh weather. During summertime I dream to come back in Iceland, or leave to Scandinavian countries… Anywhere where I can escape from the hot Spain weather. This year, I will spend one month in my native city, Bordeaux, with my family to see my mother and my childhood friends. As every year we will go for a swim in Cap Ferret, eat oysters and spend some days in Auvergne. YOUR FAVORITE HOBBY ON HOLIDAYS? With no doubts I would say going to bed late and sleep late in the morning. It became a luxury the rest of the year. Otherwise, my pass time during the holidays is to take time to do what I never manage to make the rest of the year: live at the rate of my desires. Have breakfast outside, stroll, to organize dinners with friends in the evening in the garden, authorize me doing nothing or almost. Make Tai Chi regularly, read to the bed till late in the night and go to the ocean. I like sea sprays, the Atlantic Ocean, the waves, but I do not like remaining on the beach for long hours so I will never be found sunbathing … In any case it is in summer, that I dream about, that I take time to imagine the next collection and to sketch the prints. YOUR FAVORITE COCKTAIL PARTY IN SUMMER? In summer, I like fresh white wines such as Tariquet or Albariño for the evening debuts. And Margarita and Tequila for later hours. WHAT TO DO IN MADRID WHEN THE WEATHER IS HOT? As mentioned above I fear hot weather. So I would say put air-conditioning in work or leave for vacation in the North. That being said, it is also possible to go less far, for instance the Sierra de Madrid offers great fresh natural pool, or go for a walk along the shadow of the Monastery of El Escorial. Both are perfect during the summertime to refresh. If we stay in Madrid, I advise staying at home at the hottest hours and going out only very early in the morning or late at night to take advantage of the relative freshness of the nights in Madrid. In the evening, we can then go out to have a drink on one of the rooftop of the capital, to walk in the Park del Morro, or in the Temple of Debod. The weekend, it is also the ideal moment to go to exhibitions to Matadero or to Casa Encendida (their rooftop is great), eat some tapas with friends to the Mercado San Fernando on Sundays. As a last resort, if it is really too hot, to go to see a good movie in cinemas Renoir or to the Golem Plaza España stays one of the best options to escape the heat. Summer 2017 is finally here, vacation is coming, and it is high time to introduce you our essentials of the seasons. Let’s begin this series of articles with the answers of Marion our Communication Officer at Florenz. During the summertime I am looking to escape and explore, and currently my dream destination is the Asian continent. So it is quite naturally that I’ve chosen the Bijinga 100% silk scarf to accompany me. I really love its artistic aspect, and its homage to Kitagawa Utamaro’s work. I like to wear it as a turban or a scarf. It is necessary to know that I am not a very organized person regarding holiday. I do not particularly like the traced routes, I am rather the kind to leave free court with my desires. The timed journeys are not clearly something that I look for, but I admit that before going on holiday I have some small rites, in particular go on Instagram. I try to find typical places there, in Barcelona last summer I had make the discovery of the Bunkers del Carmel which I recommend highly. I also often realize boards on Pinterest where I insert all the photos of the places which I want to discover in the city and the neighborhood. I never go on holidays without my camera to immortalize everything I quickly have thousands of photos to sort out at the end of the holidays, but it does not matter, my camera is still my essential accessory, the first one on my list. I use a reflex (Cannon 1000d) which follows me for years and has already travel a lot! Regarding fashion, I always bring one (or several) pair of sandals to stride along the streets of the city. A swimsuit to be able to take fully advantage of the beach and the ocean. Sunglasses and good novel. Regarding beauty, I keep a good sunscreen, and a light mist for strong heat. I am going one week to Lisbon in the middle of July, I have never set foot in Portugal, and I am looking forward to discovering this new country! Then, I will return on the wild coasts of my native Brittany for the end of the summer. Besides the beach, if there is a thing which I adore on holidays, it is to hunt for antiques. I adore going to flea markets, and try to find the perfect gift for my close friends, something authentic, and often old objects, which are for me real small treasures much more than what can be find in any souvenir shops, which are for me tourist traps. And as I adore the vintage, I always prepare my flea markets schedule before going anywhere for vacation. Without any hesitation I would say mojitos ! When the strong hot season arrives to Madrid I like taking advantage of the fresh air in museums and take advantage of it to rediscover all these beautiful works. I also have a passion for architecture, and I adore to visit cathedrals, church, chapel, … And it is a chance that Madrid possesses a lot, each more beautiful than the last. At the end of evening when the heat gets refreshed, or at least that the sun does not hit any more so hard, I like going have a drink on one of the rooftops of the city and taking advantage of the offered view. But Madrid also possesses full of attractive terraces which spreads of mist to counter the heat and are thus so pleasant. The Atocha station of Madrid is also worth seeing, and to escape a little from the city the time of a weekend in the countryside is also a good way to escape the heat of the city! As you may have notice, at Florenz we are really inspired by travels. Summertime is really close, so we have selected 5 destinations where to keep your Florenz scarf. If you are going for a break in Moscow, do not forget your Carmen Honey pashmina, go admire the amazing orthodox architecture, enjoy a break at the Red Place while reading Dostoevsky and listening Michael Jackson’s song “Stranger in Moscow”. Total escape guaranteed! Our 100% silk scarf, Bijinga, will be the perfect partner to discover Beijing this summer to admire all the temples, and walk on the Great Wall of China with style as the Fendi’s models a few years ago. Go stroll on Amsterdam bridge while listening to Brel. Rent a bicycle and explore the city, but above all, do not forget to keep your silk and cashmere scarf to fully enjoy the fresh summer nights. Walk though Paris’ street, listen to the street artists who play La Vie en Rose, go visit the Louvre Museum and feel as free as Amélie Poulain. Last tip, but not least, to feel like the perfect french girl, wear your lace pashmina proudly. The 70th edition of the Cannes film festival is going full swing, and as every year, the red carpet have seen parading number of scarves, and other shawls. As every year, the biggest actors were proudly wearing their most beautiful scarves for the occasion. Back to the images on the most beautiful shawls seen in Cannes these last years. 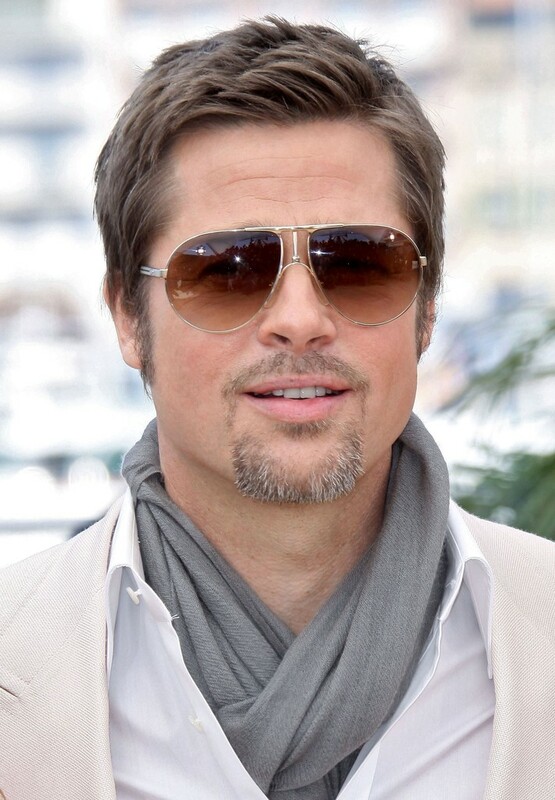 There are not only women that wears scarves and shawls at Cannes, there are also men, such as Brad Pitt and his grey cashmere shawl. Catherine Deneuve added a pink touch to her little black dress with a fuchsia velvet shawl. Poppy Delevingne arrived at Cannes with an electric blue cashmere shawl that we could not miss.